Henderson resident Michael McCook’s photograph of Hoover Dam has taken top honors in the 2016 Share the Experience Photo Contest hosted by the National Park Foundation and ACTIVE Network. 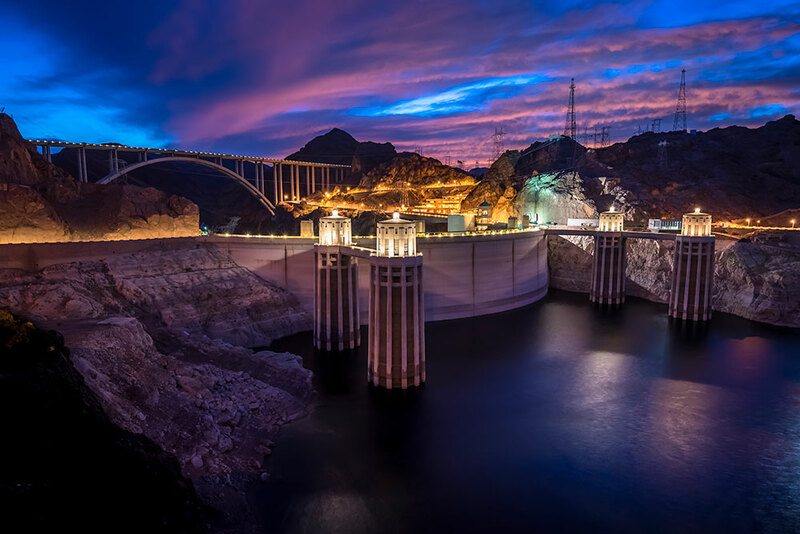 Out of more than 16,500 photographs submitted from across the United States, McCook’s spectacular nighttime photo of Hoover Dam was chosen as the Historical and Cultural Winner. 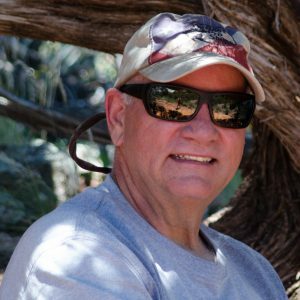 Below, Mr. McCook answers a few questions about the contest and his work. Q: This contest is about more than just images; it’s about sharing meaningful life experiences. Can you tell me a little about the circumstances and the trip or adventure surrounding your photo? A: I live in Henderson, Nevada, not far from the Hoover Dam. I had been wanting to get some sunset and night shots of the Hoover Dam and the new Mike O’Callaghan-Pat Tillman Memorial Bridge. One afternoon I noticed there were clouds which I hoped would give me an interesting sunset shot, so I jumped into my Jeep and to get there just as the sky was turning red. Q: Was this your first visit to this location or is it a place you visit often? Q: What made you enter this photo? A: I thought that the combination of the dam, bridge, sunset and evening lighting created an image which, I felt, would be great on a National Park Pass. Q: What do our public lands mean to you and how have they inspired you? A: Our public lands and especially their preservation are extremely significant to future generations. Most of my photography is inspired by nature. Our public lands give me access to explore and preserve (through my photography) places which may not normally be accessible. Q: Is there a particular location you would like to visit this year with your America the Beautiful pass? A: I would love to visit the national parks of Alaska, especially Denali. Such a dramatic and colorful picture. Almost makes you overlook how low the reservoir really is. A gorgeous photo — wow! Thank You for sharing my photo of Hoover Dam at Sunset. As an Amateur photographer it is very exciting to have a winning entry in such a prestigious contest. It is equally as exciting to share my experience with you and your readers. Michael, you are a great photographer! I love seeing the places you visit with Barbara. What a great area you live in with so much nature just a jeep ride away. We took our son to Hoover not too long after he finished school as an Engineer. He worked for the Dept of Energy and his job was “A Dam Engineer”.